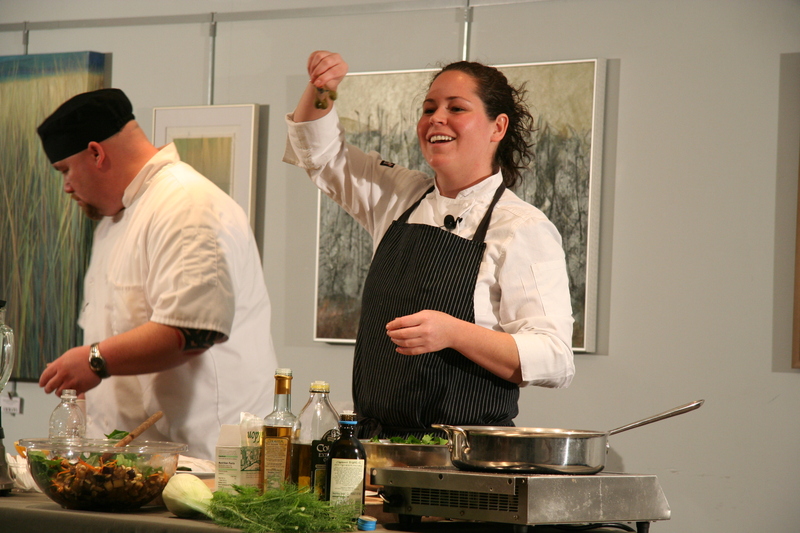 Stephanie Izard, winner of Top Chef Season Four, gave a cooking demonstration at the Ann Arbor Library. The room was packed with over 150 people and there were 170 up on the third floor viewing the demo via live feed. She has a winning smile, was very personable, and answered questions the crowd asked. Although she shared what she made, only one tasting got back to us (we were the second to the back row). It was, of course, yummy. Although I say I don’t like to cook, but I like to eat, little by little I enjoy cooking more. Or, maybe it’s the eating better food I like. Anyway, it was fun to take part in a Womens History Month event with Chef Stephanie! Ive been driving by this guy for months. He stands at the exit ramp at I-94 and Jackson Road in Ann Arbor. 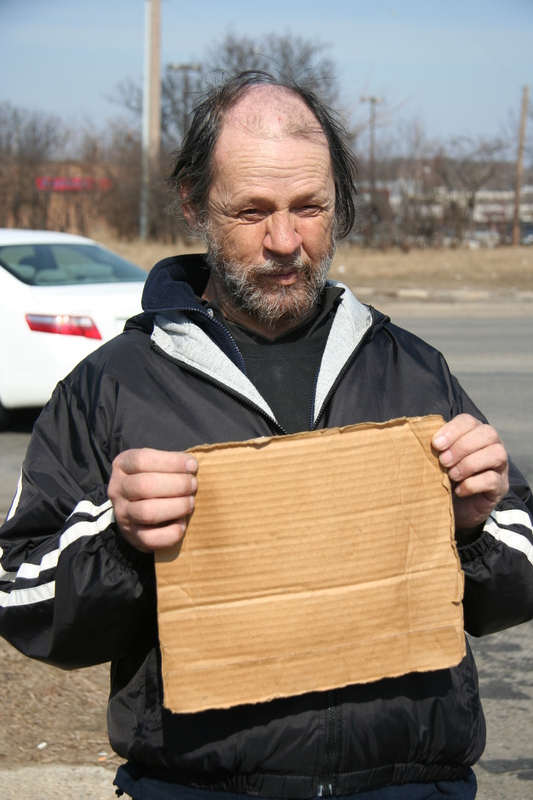 Obviously homeless, he stands at the exit with a piece of cardboard without anything written on it. I’ve wanted to take his picture for some time and finally got up the courage today. I went up to him, said hi, and asked him if I could take his picture. He said, Sure. But I dont have anything on my sign. I told him that was what made it interesting … and then he told me the whole story of why he doesnt have anything written on his sign. He got ticketed and had to go to court when he had Will work for Food on his sign. The cop didnt show up to the hearing so the case was thrown out. He told the judge he was going to hold up a blank sign from now on and, for the last six months, thats what hes been doing. Its been driving me bonkers that he holds up a blank sign! Now I know the story behind it. His name is Chuck and hes homeless. He sleeps under bridges and right now has his blankets under I-94 at Jackson Road. He mentioned that it was a really hard winter and when I asked him if he ever thought about moving south where its warmer he said no, that Ann Arbor is home. He has two grown children, Alice and Lisa. He was easy to talk to, willing to share his story, and didnt seem under the influence of anything. I anticipated some sort of negotiation when I asked to take his picture … something like Sure … you can take my picture for five bucks but he just said yes. We chatted for 5-10 minutes and then, when I left, I shook his hand … and then gave him a dollar. He didnt ask  I just gave it to him. You are currently browsing the Pam's Blog blog archives for March, 2009.